We are proud to present an acoustic evening with Hot Tuna. 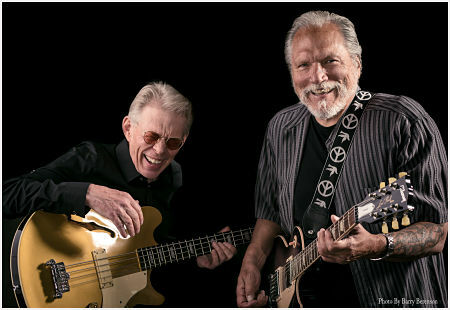 Original members of the Jefferson Airplane, one of the seminal bands of the 1960's San Francisco Rock scene, Jorma Kaukonen (guitar, vocals) and Jack Casady (bass) started Hot Tuna in 1969 as a fun side project where they could play the old Gospel and blues music that they loved. 46 years later, they're still going strong! And watching them play, it's clear that even after more than FIFTY years sharing the stage, there is nothing in this world that Jorma and Jack would rather be doing than playing music together. VIP Premium seats include a copy of Jorma Kaukonen's new book and the best seats in the house!